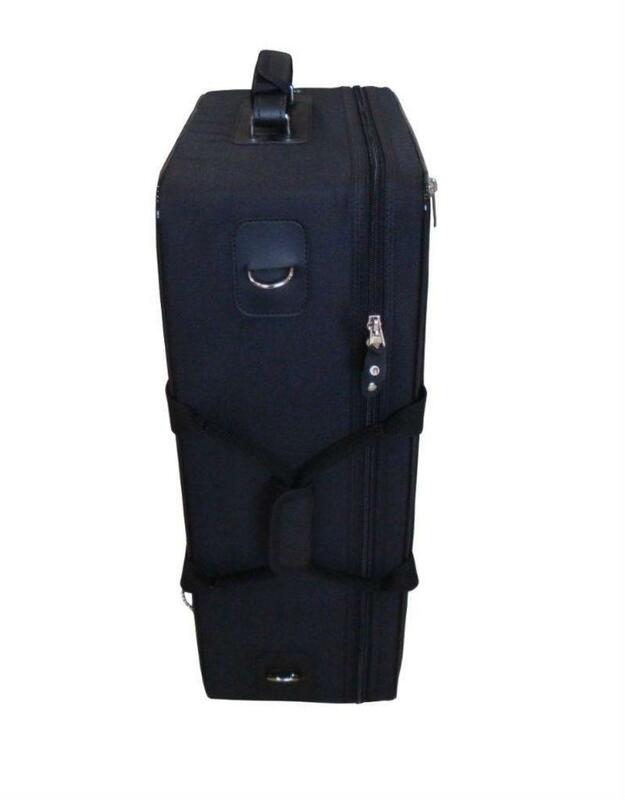 The search for a good quad trumpet case that doesn't break your shoulders to carry it but also fits in the overhead bin of a plane is a difficult endeavor. 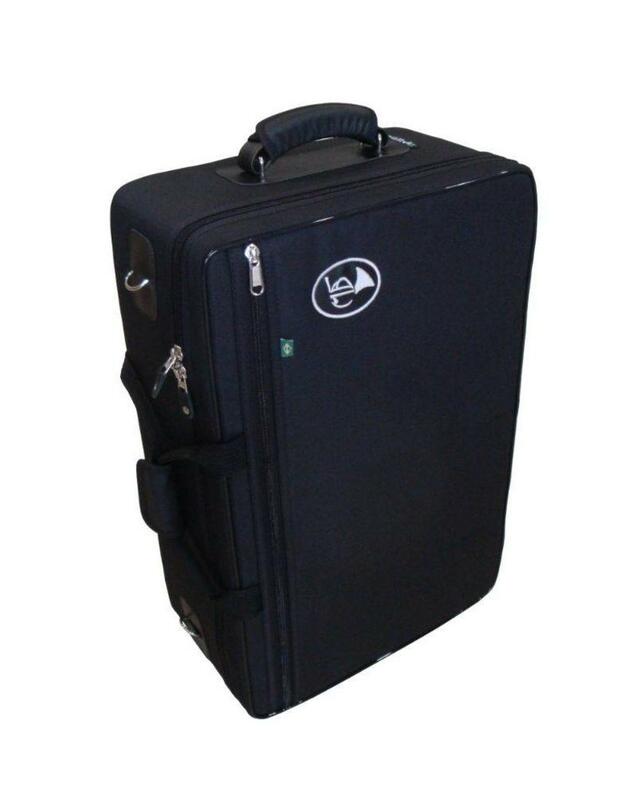 Marcus Bonna tackled these issues with his Compact Quad Trumpet case that gives all of the security you want and need to travel, without weighing the same as a baby elephant. 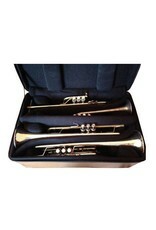 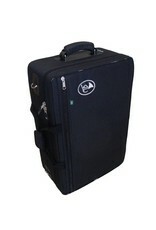 This case can be used for four full sized Bb trumpets, or any variety of trumpet combination, including piccolo. 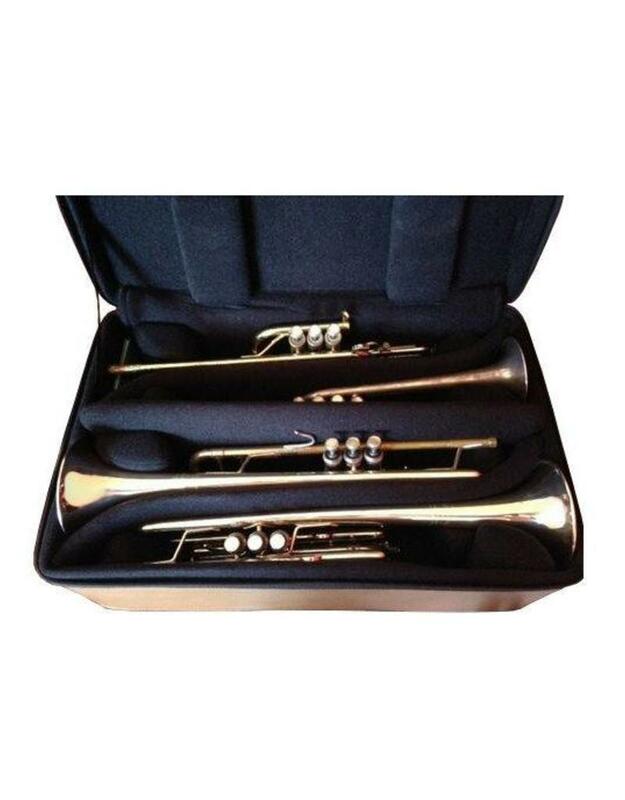 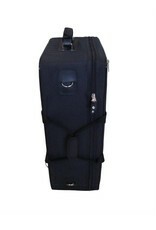 It is also suggested that if you are looking to carry two trumpets and a flugelhorn the standard sized quad case would be a better fit, as the compact is a bit too small to fit the flugel comfortably. 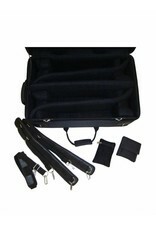 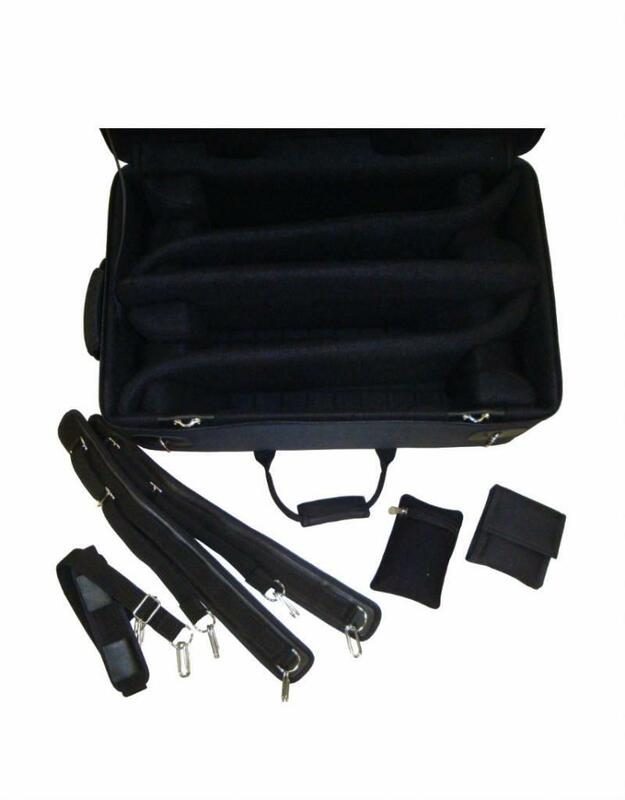 Cases include back pack straps and mouthpiece pouch for four mouthpieces.